Our range of Fiber Lasers drill metals, coated metals, some ceramics and graphite composites. These Lasers create discrete pulses of controllable energy, peak power, and temporal profile (or shape) which are well suited for laser drilling. 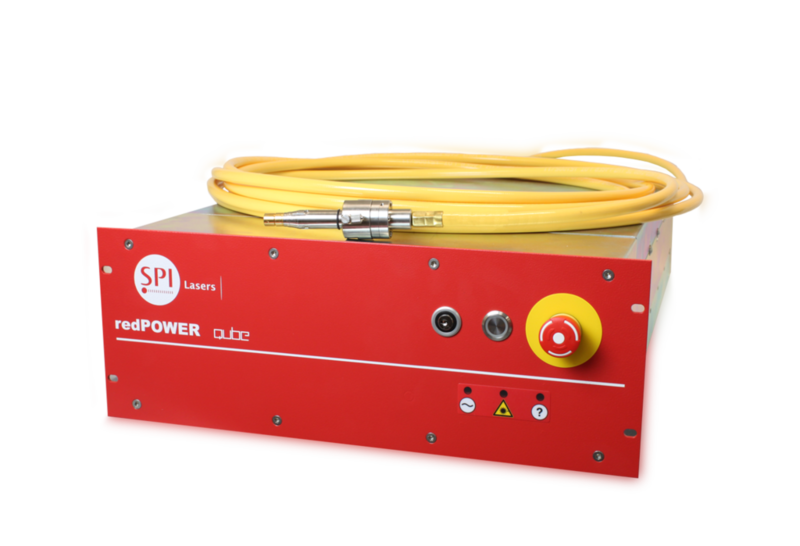 The key to Laser drilling with a Fiber Laser is the peak power which is why many customers choose one our range of CW redPOWER Fiber Lasers for this task. A redENERGY Pulsed Laser can also drill well since the interaction with the material is defined by the peak power (up to 20kW) and pulse energy parameters. Laser drilling is one of the most advantageous laser processes available on the market. Using high-quality lasers such as our Fiber Laser range, laser drilling allows the user to produce extremely precise and accurate holes that other standard machines simply cannot. Ability to process a wide range of materials. These are just some of the advantages of laser drilling, but clearly show why it has become such a vital process in manufacturing industry. Generally, we find that our clients and customers have the biggest need to adapt and change various different metals for their manufacturing processes. Some of the biggest benefits of laser drilling, as listed above, is its adaptability to different situations. You can precisely control the heat output and the beam intensity and duration, meaning that laser drilling can work with various metals. This includes metals such as stainless steel, copper, nickel, brass and iron. However, it’s not just metals that those in the manufacturing process need to work with. 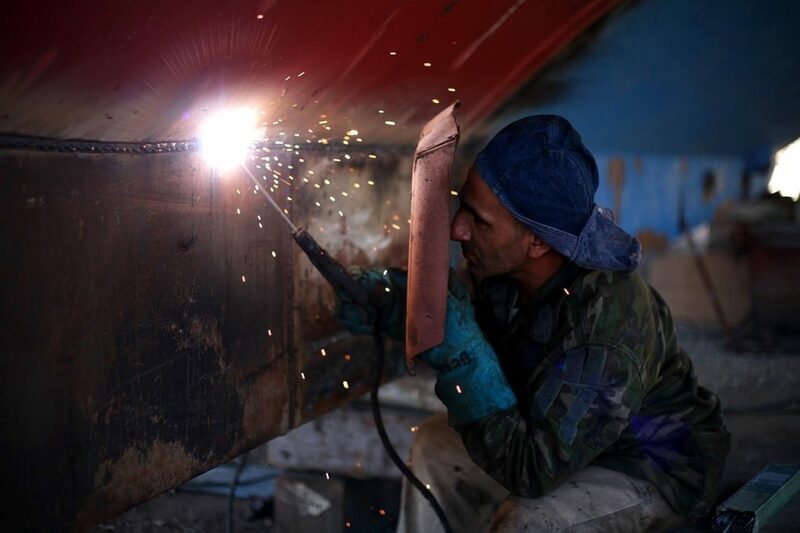 Not only can laser drilling work with practically all metals, but it is also effective with almost all solid materials. This includes semi-conductors, plastics, ceramics, and even diamonds. The fact that laser drilling is so adaptable and interchangeable among different industries and the materials being worked with, and that it only needs one machine rather than several, it is easy to see why it is such a desirable process! Percussion Laser drilling means adjusting the Laser’s focus spot size to determine the hole size. There is no relative motion between the Laser beam and the part during the drilling process. The parameters and number of pulses are chosen to produce a good quality hole. Laser drilling holes in the 25µm to 1000µm diameter range is possible using this method but the limits vary according to the material. Most percussion drilled holes are in the 300µm-600µm diameter range. Percussion drilling allows a special drilling regime termed drilling ‚on-the-fly‘ to greatly increase hole drilling speed. Drilling on the fly is usually performed on round turbine engine parts and uses signals from the motion systems encoders to trigger the laser at specific, consistently-spaced hole locations around the part. If ten pulses are required to percussion drill a hole then a drill on-the-fly system will rotate the part ten times, sending a Laser pulse to each hole location per revolution. Laser drilling speed is increased because indexing time is eliminated from the cycle time. Percussion drilling can take advantage of pulse-shaping to improve the interaction of the Laser beam with the material. This can also help control taper and improve the drilling speed. Pulse shaping is programming the Laser’s pulse temporal profile. By breaking up a long drilling pulse into two three or four shorter segments, separated by off-time, the hole quality can be improved and speed increased. Debris coming out of the hole can interfere with end of a long duration pulse so breaking it up improves efficiency and reduces drilling time. Using a pulse shape with a lower peak power segment at the beginning can create a hole that has less initial bell-mouth taper. Trepan Laser drilling requires a motion system to allow piercing with the Laser and then motion of the beam relative to the part to ‚cut‘ out the hole. Trepanning allows for a diameter tolerance about half that of percussion drilling. It enables the creation of shaped holes with a tailored taper or changing cross section with depth using a multi-axis system. This requires a system with good accurate motion capability and high-level programming capability. Trepanning also enables the cutting of specific shapes and large holes as well as complex 3D trimming of large parts. 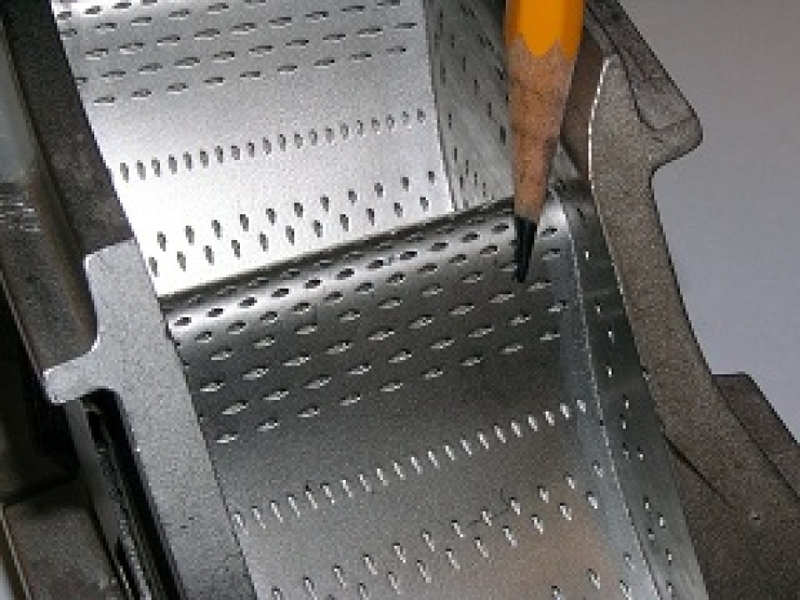 Holes drilled in metals are judged by the hole diameter tolerance, taper, recast thickness, and micro cracking. Hole diameter in percussion drilled holes is generally less than +/- 50µm and in trepanned holes the tolerance tightens to about +/- 25µm. Recast is the molten metal that resolidifies around the hole’s inner diameter. Recast thicknesses vary with the alloy and hole depth but is generally less than 100µm. Hole depth can be as high a 50mm but most drilling tasks have hole depths of less than 15mm. What industries can you find laser drilling in? Laser drilling, thanks to its wide range of benefits and advantages, is found in a number of different industries. There’s almost no doubt that you’ve used hundreds of products in your lifetime that have partly been produced thanks to laser drilling! Below are the main industries that use laser drilling. The automotive industry requires the manufacture, production, and assembly of many different intricate parts. The chief concern in this industry is that the final product is safe and road worthy, and laser drilling helps to ensure this. Laser drilling is used for many different purposes in the automotive industry, such as for creating precise and accurate holes quickly that can be used for injection nozzles, which is used to deliver fuel to the engine. As with the automotive industry above, the aerospace industry also requires a similar process with the safe and reliable manufacture and assembly of multiple parts. 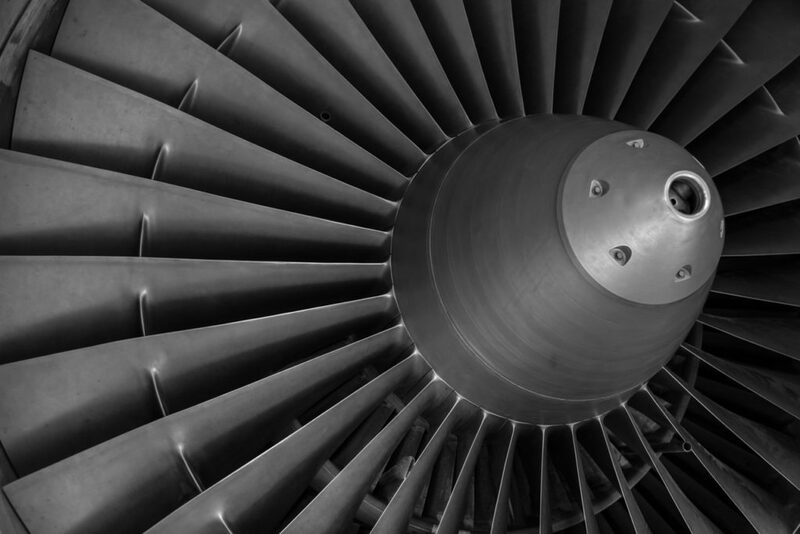 A typical use for laser drilling in this industry is for creating cooling holes in the turbine engines of the airplanes. Laser drilling has become increasingly more useful in the electronics industry. As the expert tech brains among us continue to innovate with electronics, electronic parts, objects, and products have continued to downsize, making it more and more difficult to mechanically drill small holes. Laser drilling is perfect for drilling these precise, accurate, and small holes. The medical sector uses a number of products that have been created using laser drilling. Given the nature of the industry, it is imperative that the products are safely manufactured, and laser drilling ensures this. Such uses for laser drilling in this industry are to create needle holes in devices. As with the above industry, the semi-conductor industry also requires the drilling of extremely small and precise holes that normal machines just can’t handle. Such uses for laser drilling in the semi-conductor industry is to load cold atoms into atom chips or to avoid the deep plasma etching of the semi-conductor that is being worked with. Now that you are an expert on the various different applications, processes, industries, definitions, and types of laser drilling, perhaps you are interested in the history of laser drilling and how it first came about? There are several different applications that our Fiber Laser range can complete, including laser marking, laser engraving, laser cleaning and, of course, laser drilling. One such other process, laser cutting, bears many similarities to laser drilling, and was in a sense the first example of laser drilling being used. In 1965, a laser cutting machine, manufactured by Western Electric Engineering Research Centre, was used to drill a hole in diamonds. Since then, with parts and objects getting smaller and smaller, laser drilling has become a necessary and vital process of its own. Sometimes laser drilling is the only way that tiny, intricate holes can be drilled into parts. The above video, as shown on the ever-reliable History Channel, demonstrates the process of laser drilling through rocks, based on research from the Argonne National Laboratory. The main investigation that the video looks at is how this technology and process could be used to build sustainable and inhabitable underground bases on Mars! The above video, while short in length, shows what the laser drilling of glass looks like at a very small level in femtoseconds. A femtosecond is a unit of time measurement, although it is quicker than any human can process, coming in at one quadrillionth of a second! This gives you some idea of just how quickly laser drilling can work. ‘Laser Drilling part Deux’ involves a talk on the effects of laser drilling on the apparently untouchable diamond! The video shows before and after photos of just how powerful laser drilling can be. Another short video, ‘Laser Drilling’ gives you a great visual demonstration of laser drilling in action. Unlike the video above on laser drilling of glass at a microscopic level, this video demonstrates how laser drilling looks to the human eye. In this YouTube clip, it is an aerospace component that is being worked with. This video gives you a quick demonstration of a laser drilling machine in action. Being used by the NCAB Group, one of the largest producers of printed circuit boards (PCB) in the world, this is a great video for seeing how the laser drilling process works. Laser drilling is a large and complicated process, and is used for so many different applications that it can be hard to fully understand its potential! We’ve answered the most frequently asked questions as well as busted the most common laser drilling jargon to help break the process down for you. Also, take a look at our How Laser Drilling Works page for an in-depth description on just exactly how the process of laser drilling works so accurately without damaging the metals that it is working with. There are many types of laser drilling processes and applications, and also various types and techniques of laser drilling, which we have defined clearly to help you understand it easier! As previously mentioned, there is a lot more to laser drilling than simply boring small holes into various materials, and it is likely that laser drilling pops up in more places than you would have imagined! It has become a vital process within the manufacturing and production industries, and its use is only increasing as the years pass. The various links provided above should provide you with everything you need to know about the laser drilling process, but should you have any more questions or queries please do not hesitate to get in contact with us!